World known as being the home of Hollywood movie stars, people in the entertainment industry, and other affluent residents this is one of the most unique communities in LA. Even with the recent tragic fires, local long time residents remain committed to living here. Maybe that’s because most of them live within a few hundred yards of the Pacific Coast Ocean and enjoy one of the most scenic coastlines in CA. 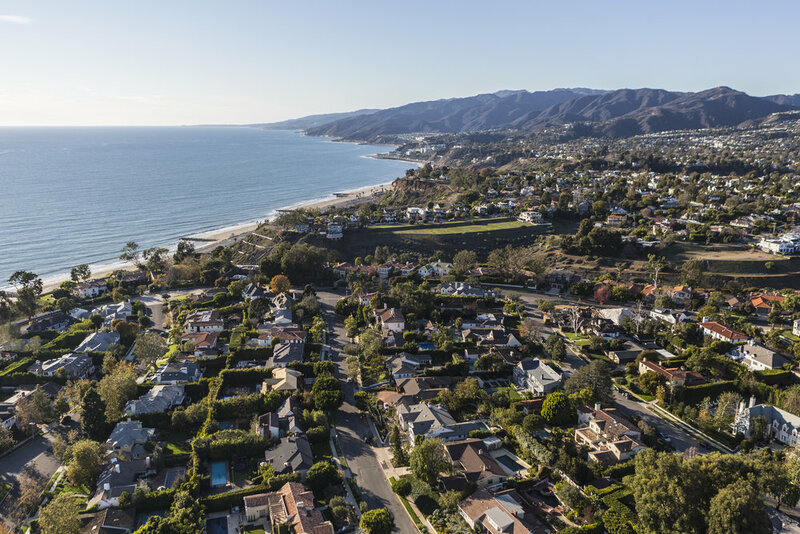 This affluent residential neighborhood is tucked between the Santa Monica Mountains and the Pacific Ocean. Temescal Gateway Park offers hiking trails with sweeping coastline views, and the sandy Will Rogers State Beach provides access to a 22-mile beachfront bike path.